Perfume for the hair? If I’m going to be honest I never even knew it existed until I came across this bottle on Barney’s site. 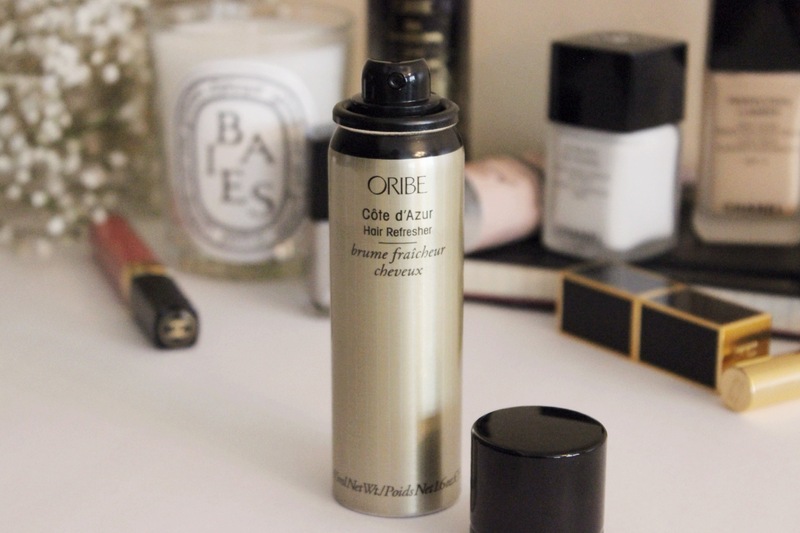 I’m obsessed with Oribe’s Dry Texturing spray and love the way it smells, the Cote D’Azur is the icing on the cake! It’s their signature scent in a lovely gold bottle, it neutralizes odors, cuts static, and has UV protection. It contains 1.6oz of product so it’s equal or if not more than the average 1oz perfume for the body. It’s very potent initially but dissipates throughout the day leaving a nice soft clean scent. This stuff lasts all day and I get a whiff of it every time I whip my hair back and forth (dramatization, I’ll leave that to Willow)! It doesn’t change or alter the texture of your hair nor does it leave it sticky, it’s basically a mist for the hair. I think it’s fairly priced considering the longevity and the fact that it protects the hair. Oribe products never disappoint and are the ultimate luxury when it comes to hair. Can I buy this in bulk please?